America’s favorite auto lender, Complete Auto Loans is now offering instant approval auto loans to help more shoppers get the auto loan they need. 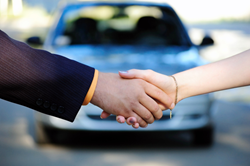 Complete Auto Loans is working with lenders around the country to help approve more shoppers for bad credit auto loans. Complete Auto Loans is working with lenders around the country to help approve more shoppers for bad credit auto loans. Last month alone, Complete Auto Loans was able to approved 230 more shoppers for the loan they needed. Shoppers who make at least $350 per week can receive instant approval for an auto loan up to $35,000 using Complete Auto Loans’ online application. Getting approved for a loan is easy and takes as little as 60 seconds with Complete Auto Loans’ easy to use online application. Once the application is filled out, the auto lender will match them to a local area lender who is able to get them the auto loan they need. As an added service, Complete Auto Loans also provides a complimentary online credit score tool which has helped drivers save thousands of dollars. After completing the easy online car loan application, applicants are given the opportunity to save thousands of dollars on their loan. For more information, visit Complete Auto Loans’ website.